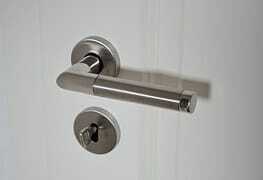 Are you looking for professional & experienced locksmith Melton services? LDC Locksmiths covers all of Melton and the surrounding suburbs. We realise that for the majority of people a lock problem can be an extremely worrisome and a breach of their personal security. That is why we offer a service that is not only thorough, but speedy too. Our team will devote their time and effort into fixing any problems with your locks, and getting you back into your routine without delay. We are able to expertly repair doors after break-in. Whether it is wet or sunny, day or night, you can depend on LDC Locksmith, your Melton locksmith. Dedicated to excel in our services and to always meet and exceed our customer’s satisfaction, we have built our reputation for being the one locksmith company for everyone to call. Whether you need a locksmith for an emergency or any type of locksmith service, our team are always reliable, efficient and able to handle any locksmithing job in a timely manner. Your house or commercial premises may of been broken into and you need new locks or you may even want to upgrade your security. We can upgrade your security by fitting window locks to your windows, fix that security door lock that has not been locking for a while or fit a deadlock to your external door. We recently did a job in Melton where a customer called us and asked if they could have all of their locks (front door, back door, front security door, garage door and sliding door) keyed to suit 1 key so they did not need to have 5 different keys for all of the locks. We went to their house the next day and changed the barrels in their locks so now they only have 1 key that opens all of their locks. This helped them out as they were having family staying over for a month and now they only needed to give their family member 1 key to get into their house instead of giving them 5 different keys and labelling each key. Another job we recently did in Melton was a customer called us concerned about their home security especially with their front door. We went to their house and did a security check, checking all of their locks and doors and then advised them the benefits of having a 001 Deadlatch on their front door for added security. The customer wanted to go ahead with installing a 001 Deadlatch which we did for them while we were there. The customer now has a piece of mind while they are home or away that their house is locked up securely. When choosing a locksmith you want to be reassured that the person who comes into your home or business is reliable and professional well look no more you have found that here at LDC Locksmiths, our staff have over 15 years experience in the locksmith field. No job is too big or small for the Melton locksmith professionals at LDC Locksmiths, so give them a call today on 0411 344 144.